This 300-year-old stone cottage forms part of a restored inn, lying in the centre of the attractive market town of St Columb Major in Cornwall. With lush countryside, coastline, plus towns and villages surrounding this heart-warming property, it's an ideal stay for a family or small group of friends to base their Cornish break. The ground floor of The Old Smithy is occupied by a fabulously finished open-plan living area, which features comfortable seating, stylishly painted wooden beams and homely touches to create a peaceful spot to spend your downtime in. The contemporary, well-appointed kitchen with its granite worktops and wine cooler almost surrounds the stylish dining table set for four, completing the layout. The first floor of the property lies under the cosy sloping ceiling; Velux windows fill the two bedrooms with natural light, as the master bedroom benefits from a sumptuous shower room. The twin room is well-presented and comes with a wall-mounted TV, ideal for children. The property is topped off with a lavish family bathroom. When the sun comes out, you will look forward to sitting out on your private patio and enjoying a refreshing drink or perhaps some alfresco dining. St Columb Major is a wonderful place to base a holiday in Cornwall, it provides a small selection of amenities and excellent access to some of the area's most popular attractions. Nearby you can easily reach the seaside resort of Newquay, which has a wider range of amenities as well as a zoo and the National Surfing Centre, there is something to suit every taste here. 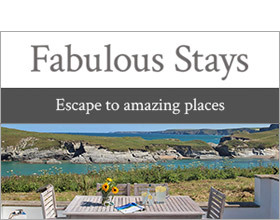 A stunning cottage in a convenient Cornwall location. Two bedrooms: 1 x double with en-suite shower, basin and WC, 1 x twin. Bathroom with bath, shower over, basin and WC. Open plan living area with fitted kitchen, dining area and sitting area.